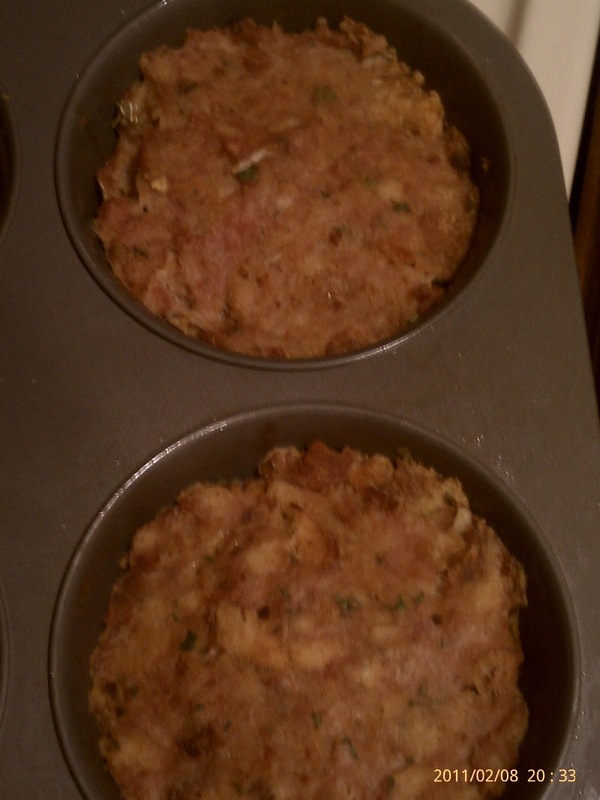 Dave cooked Turkey Meatloaf Muffins for dinner tonight! I know I know, doesn't sound that appetizing. They are SOOOO good! Just the right serving and very healthy! Preheat oven to 350. Mix all ingredients together. Spoon into the giant muffin pans. Ours hold 6 muffins. Bake 35-40 minutes. Serve with Ketchup! Yummy Yummy Goodness! We had steamed broccoli with them! They are just as good leftover for lunch the next day too. I have a confession. 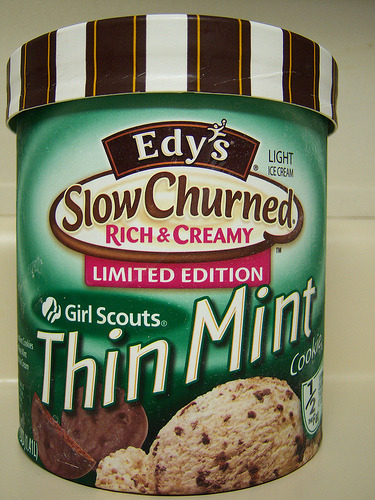 I broke down and bought Edy's Thin Mint Girl Scout Cookie Ice Cream the other night at the grocery store. I have not purchased any Girl Scout cookies so it only seemed fair that I buy this! On the side it says 1/2 the calories and fat which made it that much more appealing . Each 1/2 cup serving of Edy's Slow Churned Thin Mint Cookie Ice Cream provides 120 calories and 4.5 grams of fat﻿. When I have a few free minutes I LOVE reading Women's Health....even though a few things freak me out in there....like increase of Cancer for using your cell phone as an alarm and all the bad things in non-organic milk....I am super gullable. I will let you know what freaky things are in this month's copy. Dave and I have started doing a nightly devotional before bed from a book called The Love Dare. It is a couples devotional book based on the movie Fireproof. I highly reccomend it! It is a super easy read and great conversation piece! Click Here to get it on Amazon. 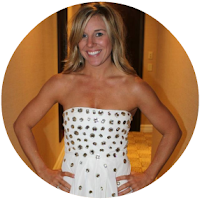 On my last post I picked some dresses out from Nordstrom. One of my best friends and bridesmaids, Kate, LOVES Anthropologie and forwarded an email about their wedding line coming out on Valentines's Day! 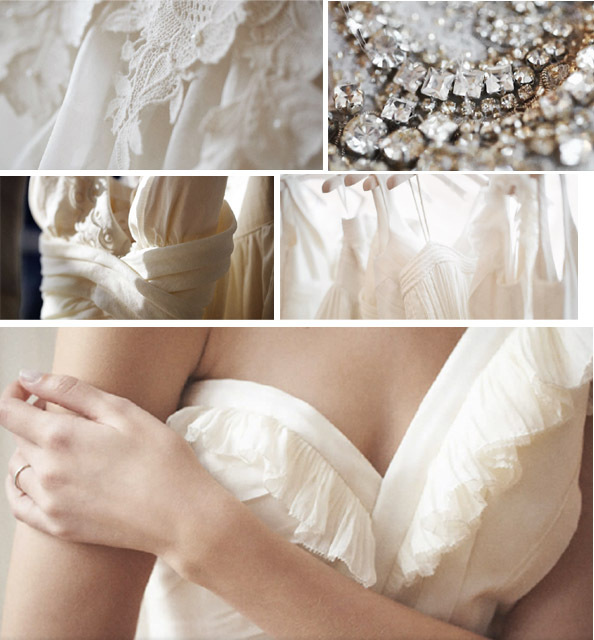 I want to see what they have so I can make my final decision on dresses for my beautiful girls! Ok so lets all pray for no more snow! So over it, so is my car and my poor Coach snow boots have been worn out this year!